Home / Pantry Items / Meats & Seafood / Hot Dogs / Kayem Old Tyme Natural Casing Franks 5 LBS. 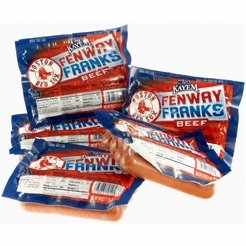 Home / New England Classics / Meats & Seafood / Hot Dogs / Kayem Old Tyme Natural Casing Franks 5 LBS. Home / Hot GIFT Ideas / Gifts For Him / Meats & Seafood / Hot Dogs / Kayem Old Tyme Natural Casing Franks 5 LBS. Home / Foods of New England / Meats & Seafood / Hot Dogs / Kayem Old Tyme Natural Casing Franks 5 LBS. Home / Meats & Seafood / Hot Dogs / Kayem Old Tyme Natural Casing Franks 5 LBS. Home / Specialty Grocery / Meats & Seafood / Hot Dogs / Kayem Old Tyme Natural Casing Franks 5 LBS. Home / Hot GIFT Ideas / Gifts For Him / Party Favorites / Meats & Seafood / Hot Dogs / Kayem Old Tyme Natural Casing Franks 5 LBS. 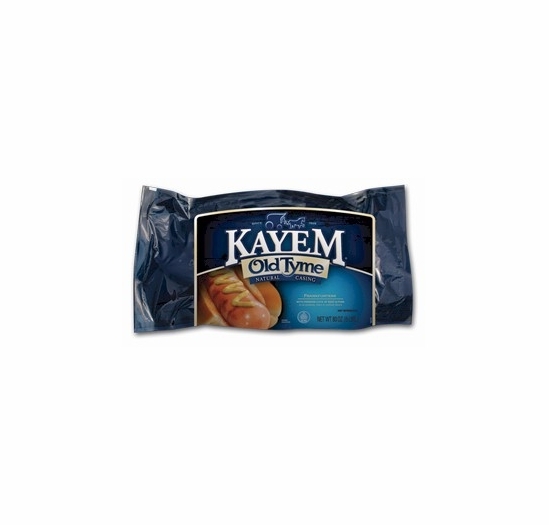 Home / Foods of New England / Brands (New England Favorites) / Kayem / Kayem Old Tyme Natural Casing Franks 5 LBS. Home / Popular Brands / Kayem / Kayem Old Tyme Natural Casing Franks 5 LBS. Home / Pantry Items / Meats & Seafood / Meat & Refrigerated Food Brands / Kayem / Kayem Old Tyme Natural Casing Franks 5 LBS. 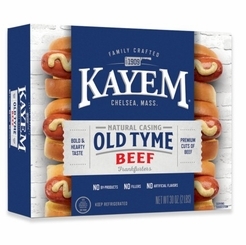 Home / New England Classics / Meats & Seafood / Meat & Refrigerated Food Brands / Kayem / Kayem Old Tyme Natural Casing Franks 5 LBS. Home / Hot GIFT Ideas / Gifts For Him / Meats & Seafood / Meat & Refrigerated Food Brands / Kayem / Kayem Old Tyme Natural Casing Franks 5 LBS. Home / Foods of New England / Meats & Seafood / Meat & Refrigerated Food Brands / Kayem / Kayem Old Tyme Natural Casing Franks 5 LBS. 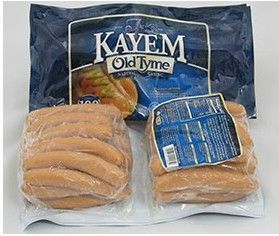 Home / Meats & Seafood / Meat & Refrigerated Food Brands / Kayem / Kayem Old Tyme Natural Casing Franks 5 LBS. 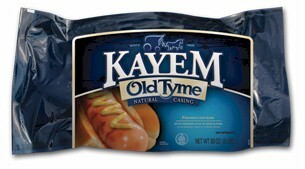 Home / Specialty Grocery / Meats & Seafood / Meat & Refrigerated Food Brands / Kayem / Kayem Old Tyme Natural Casing Franks 5 LBS. Home / Hot GIFT Ideas / Gifts For Him / Party Favorites / Meats & Seafood / Meat & Refrigerated Food Brands / Kayem / Kayem Old Tyme Natural Casing Franks 5 LBS. Home / BBQ & Grilling / Meats & Breads for Grilling / Kayem Old Tyme Natural Casing Franks 5 LBS. Home / Hot GIFT Ideas / BBQ & Grilling / Meats & Breads for Grilling / Kayem Old Tyme Natural Casing Franks 5 LBS. Home / Hot GIFT Ideas / Gifts For Him / Party Favorites / BBQ & Grilling / Meats & Breads for Grilling / Kayem Old Tyme Natural Casing Franks 5 LBS. Home / New England Classics / Clambake & Seafood / Meats & Breads for Grilling / Kayem Old Tyme Natural Casing Franks 5 LBS. Home / Foods of New England / Clambake & Seafood / Meats & Breads for Grilling / Kayem Old Tyme Natural Casing Franks 5 LBS. Home / BBQ & Grilling / Clambake & Seafood / Meats & Breads for Grilling / Kayem Old Tyme Natural Casing Franks 5 LBS. Home / Hot GIFT Ideas / BBQ & Grilling / Clambake & Seafood / Meats & Breads for Grilling / Kayem Old Tyme Natural Casing Franks 5 LBS. Home / Hot GIFT Ideas / Gifts For Him / Party Favorites / BBQ & Grilling / Clambake & Seafood / Meats & Breads for Grilling / Kayem Old Tyme Natural Casing Franks 5 LBS. Home / Pantry Items / Hometown Food Favorites / Meats & Breads for Grilling / Kayem Old Tyme Natural Casing Franks 5 LBS. Home / New England Classics / Hometown Food Favorites / Meats & Breads for Grilling / Kayem Old Tyme Natural Casing Franks 5 LBS. Home / Foods of New England / Hometown Food Favorites / Meats & Breads for Grilling / Kayem Old Tyme Natural Casing Franks 5 LBS. 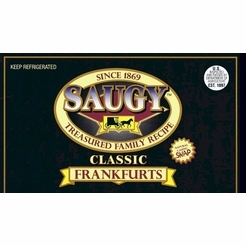 Home / Specialty Grocery / Hometown Food Favorites / Meats & Breads for Grilling / Kayem Old Tyme Natural Casing Franks 5 LBS. Home / Local Portuguese Foods / Hometown Food Favorites / Meats & Breads for Grilling / Kayem Old Tyme Natural Casing Franks 5 LBS. Home / Pantry Items / Global Favorites / Local Portuguese Foods / Hometown Food Favorites / Meats & Breads for Grilling / Kayem Old Tyme Natural Casing Franks 5 LBS. Home / Specialty Grocery / Global Favorites / Local Portuguese Foods / Hometown Food Favorites / Meats & Breads for Grilling / Kayem Old Tyme Natural Casing Franks 5 LBS. 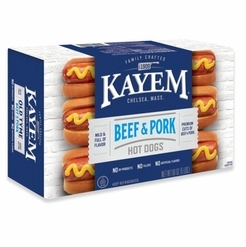 Home / Foods of New England / Local Portuguese Foods / Hometown Food Favorites / Meats & Breads for Grilling / Kayem Old Tyme Natural Casing Franks 5 LBS. You just can’t beat a Kayem natural casing hot dog, no matter where you are. 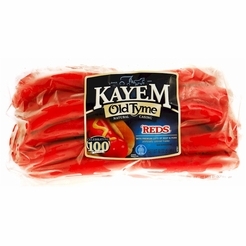 Kayem Old Tyme Franks are made with natural casing to create the best tasting hot dogs to hit your taste buds. The natural casing seals in all the juices to keep the hot dog’s bold flavor and give them that “snap” every time you take a bite. 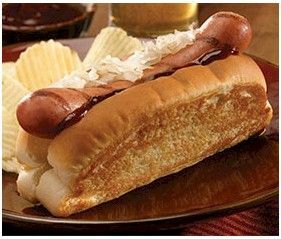 Enjoy Kayem franks on the grille, in a pan, or on top of the stove; no matter how you cook Kayem hot dogs, the same great taste will always be apparent. Approximately 20 franks per package. Before ordering, please refer to the Special Shipping Requirements. Ingredients: beef and pork, water, corn syrup, contains 2% or less of salt, potassium lactate, flavorings (including extractives of paprika), dextrose, sodium diacetate, ascorbic acid (Vitamin C), sodium nitrite, in a natural lamb casing.